We can’t say that potted plants are better than fresh-cut ones because everyone has different preferences that depend on one’s taste. One advantage that’s clear is that they certainly will serve you for a much longer period of time, which happens to be one of the main reasons that many people choose them. Another obvious thing about potted plants is that they’re the favourites of people who enjoy gardening. So, if you know such individuals, make them a present of a nice plant even if there isn’t a particular occasion to do so. They will be surprised and flattered for sure. If you’re wondering where to find living plants, there’s no need to search any longer because you’ve found us – Flower Shops. 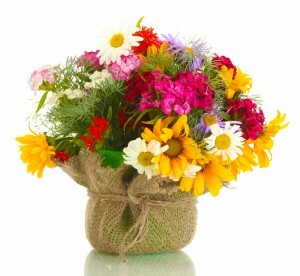 We are the flower delivery company that can provide you with the best potted plants. And if you want to send someone a plant in one of our various regular or ornamented pots, you have that option as well. We’ll make sure that everything arrives on time at the right address and in perfect condition because that’s how we do things. One thing you should have in mind is that potted flowers have to be taken care of. Some of them are more capricious than others. One type may require regular watering, while another doesn’t. There are living plants that constantly need to be in contact with the sunlight. Along with the plant, you can get a note from us containing instructions describing how to treat the flower so that it can live longer. This way, the person you’re giving it to can have a basic idea of how to look after the plant. If this is your colleague from work who has a birthday, for example, a potted flower put on his or her desk would be a reminder of that day and of you, of course. Add a greeting card with pleasant wishes and you’re all set. It’s even better when the plant radiates a nice scent to brighten up the hard workday. And if Mother’s Day is coming and your mom is a passionate gardener, you can make her happy by sending her a potted plant that she’s particularly fond of. She can take it out and place it in her garden with the rest of her favourite flowers. 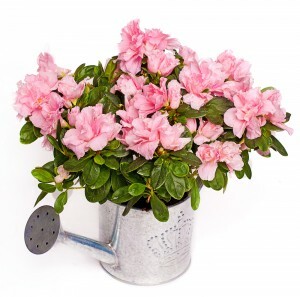 Beautiful pots with azaleas, tulips, roses, orchids, gardenias, daisies, violets and so much more can be delivered with or without an occasion to a certain address right on time to surprise somebody. We offer a great variety of containers in which the living plant you intend to give can be put. Among them are regular plastic pots, decorated ceramic ones, wicker baskets arranged with ribbons, and more. Flowering plants have the ability to give rise to positive emotions just by looking at them. But do not be mistaken in thinking that the ones which don’t bloom aren’t beautiful. In fact, they can play the role of home décor that can match the clean lines you’ve decided to follow when decorating your house, and it can give you the feeling that you have something alive in there. If we had to accentuate punctuality, we would say that exactitude is a trait we highly favour in our employees. We can’t let ourselves disappoint you by delivering withered flowers, which is why you’ll always receive your potted plants looking fresh and gorgeous. So, if you want to have a favourable experience while ordering flowers and even afterward, all you need to do is call us on ‎020 3900 2440.